I am a strong believer in mentoring, inspiring and empowering others, especially young girls. Research confirms the importance of having a quality mentoring relationship and shows it has a powerful positive effect on young people in personal, academic, and professional situations. Mentoring for me has always been first and foremost a relationship, I meet an extraordinary young woman and I think how can I help this person? How can I open doors for her and be supportive, encouraging and nourishing? In 2013, I started a chapter of Girl Talk Inc in my town-Girl Talk Marlton. Girl Talk Inc. is an international non-profit peer-to-peer mentoring program with a very simple premise: high school girls mentor middle school girls to help them deal with the issues they face during their formative early teenage years. Our mission is to help young teenaged girls build self-esteem, develop leadership skills and recognize the value of community service. The girls develop confidence, leadership skills and compassion. They learn that they are not alone in the issues they face and that understanding, kindness and compassion can be the foundation for better relationships with others. This helps women become stronger leaders in the work place and more effective as parents. Since 2002, the Girl Talk Inc. organization has served more than 40,000 girls in 43 states and 7 countries. My group in Marlton, NJ has grown from 1 girl in 2013 to 107 young girls ages 10-18. Why the need for female mentors? Statistics consistently demonstrate the alarming incidence of dangerous behaviors in middle school aged girls, as well as the positive impact of mentoring. and, of those with low self-esteem, 25% resort to self-injurious behavior and 75% report engaging in activities such as disordered eating, cutting, bullying, smoking or drinking. 52% less likely to skip school, are more confident in their academic performance, and get along better with their families. 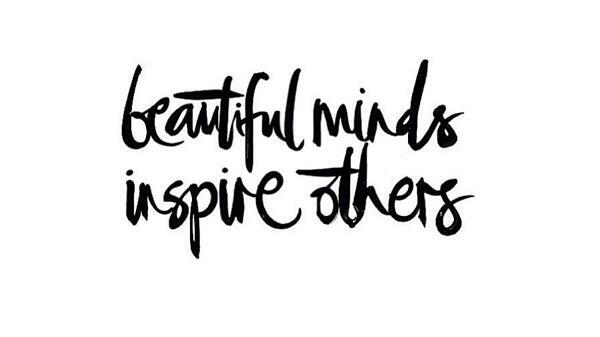 So, why NOT mentor, inspire and empower! Inspiration is all around us in everything we do and see. We need to mentor our young females to be inspired by the positive and not listen to the negative. And always empower them to aim high. Young women often talk about the self-doubt that holds them back, that little negative voice inside their heads. We all have it, we all make mistakes, we are all human. Of course, sometimes even our role models get things wrong, or disappoint us, but this is also a useful reminder especially to girls that no one is perfect, and that anyone can survive both failure and error. As women, we need to learn to build each other up. Women of different generations, colors and culture need to ensure that the progress we’ve made towards real equality continues. We need to trust each other enough to share our power, knowledge, strength, talents and innovating solutions together. The women that do this are true role models and mentors and this is what I strive to be. They are the women who drive our motivation and imaginations, merely by their example. If we’re lucky enough, we count them as friends, and they are what we call our mentors. My wish for you this week is to find a mentor in your life and become closer to them, learn from them and be empowered to inspire others.